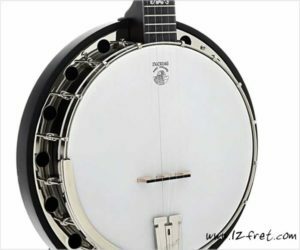 The stunning Deering Artisan Goodtime banjo embodies Greg Deering’s lifelong vision for the Deering Banjo Company – to make the best sounding, best playing, best looking, and best value U.S.A. made banjo that he possibly could. This stunning Deering Artisan Goodtime Special Resonator Banjo has the look of an older banjo with the rich brown stain, Deering fiddle shaped peghead and planetary banjo tuners. The Classic Special can be heard with a sweet voice with sustain that compliments all the instruments in a band. 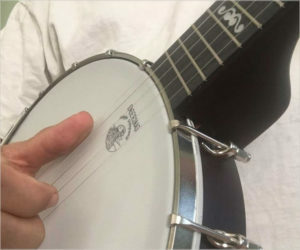 The Deering Goodtime Artisan Americana features a 12” rim, which gives the banjo a stronger bass response and a much warmer open back banjo tone. 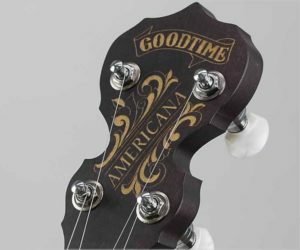 Played with an old time style technique, the Goodtime Artisan Americana is reminiscent of banjos from a period when larger rims were more prevalent which makes the 12” a great setup for playing old time music.